Some of the first questions people ask when they come into or call one of our 24-hour gym locations, is how much does a Tapout Fitness membership cost? Do you have enrollment fees? Is there a contract? The answer to those questions is that at Tapout Fitness we believe in a flexible, build your own membership pricing policy. What does that mean exactly? It means that while we do, like all gyms, have our pricing structure and membership terms and conditions, unlike most other gyms, we sit down and discuss what you need to get out of the gym. How often realistically will you be coming? Are you going to take boxing or kickboxing classes, and if you are how many times per week/month will be attending? Is one on one personal training or self-defense instruction something that you are planning on doing? Are you just looking for a “traditional” 24 hour weight and cardio equipment gym to just walk on the treadmill at 3pm or 3am? 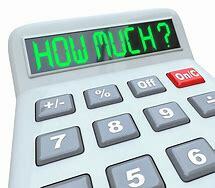 We also want to know what your budget is for fitness on an ongoing basis. The last thing we want to see happen is people regret joining Tapout due to cost. We believe the gym should be a place to alleviate stress and get healthy, not add stress because you know that a large membership fee is coming out every month. The bottom line is that if you like what we have to offer at Tapout, 9 times out of 10 we will either have a standard membership option that will work for you, or we can custom tailor a membership around your specific needs and budget that will allow you to enjoy a Tapout Fitness membership for the long term. Call Tapout Woodstock today at (770) 988-5519 or send us an online information request and see for yourself why Tapout Fitness is one of the hottest and fastest growing fitness concepts in Atlanta!